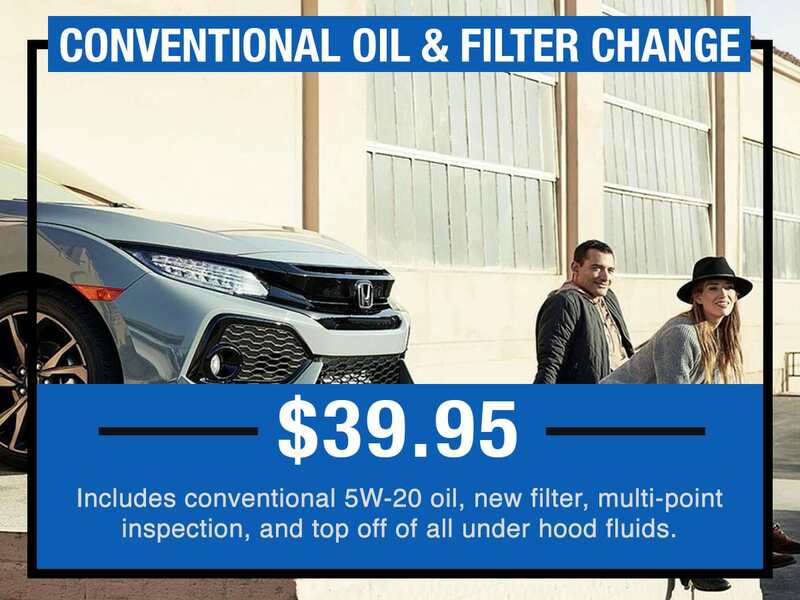 Whether you're scheduling auto repairs or regular maintenance, save money with the latest Huggins Honda service specials & coupons and find deals on oil changes, air filter replacements, tire alignments, battery tests, and more. 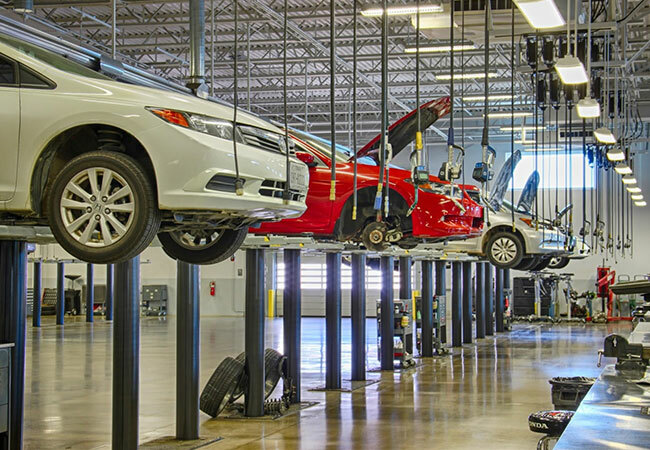 Huggins Honda of Fort Worth is conveniently located within driving range of Hurst, Euless, Bedford, and Saginaw, TX. 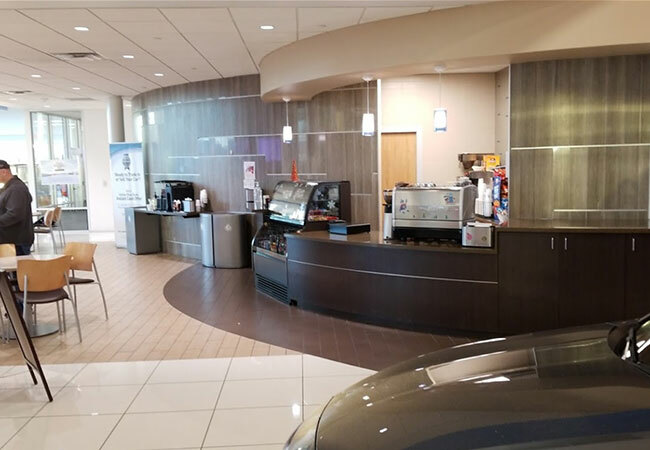 Some services feature a complimentary car wash.
Includes synthetic 0W-20 oil, new filter, multi-point inspection, and top off of all under hood fluids. 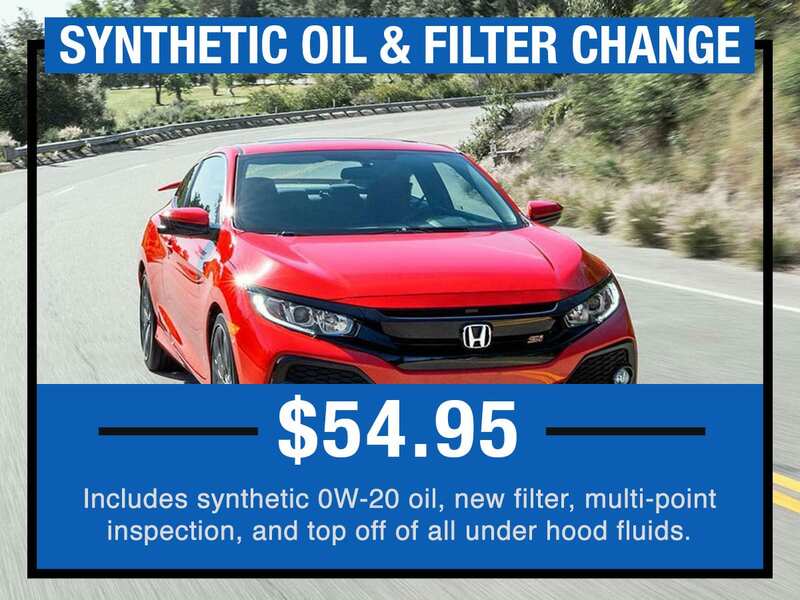 Includes conventional 5W-20 oil, new filter, multi-point inspection, and top off of all under hood fluids. 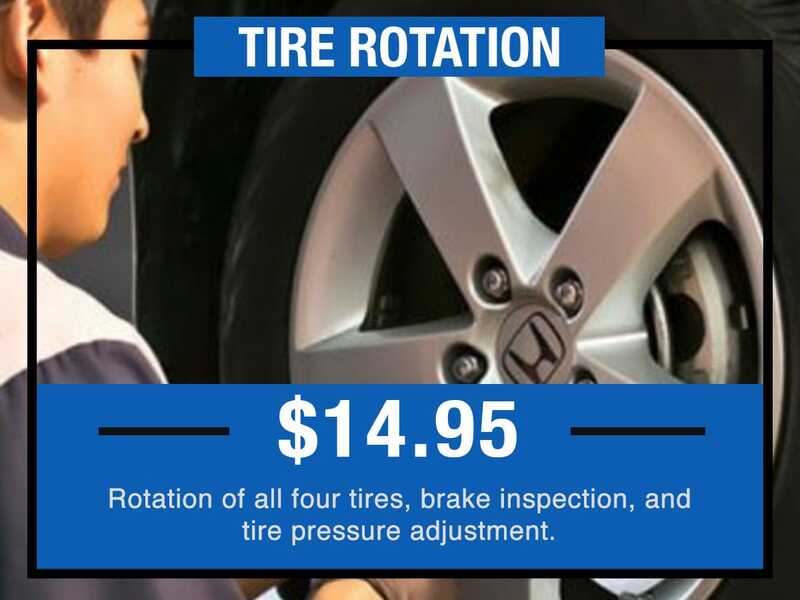 Rotation of all four tires, brake inspection, and tire pressure adjustment. 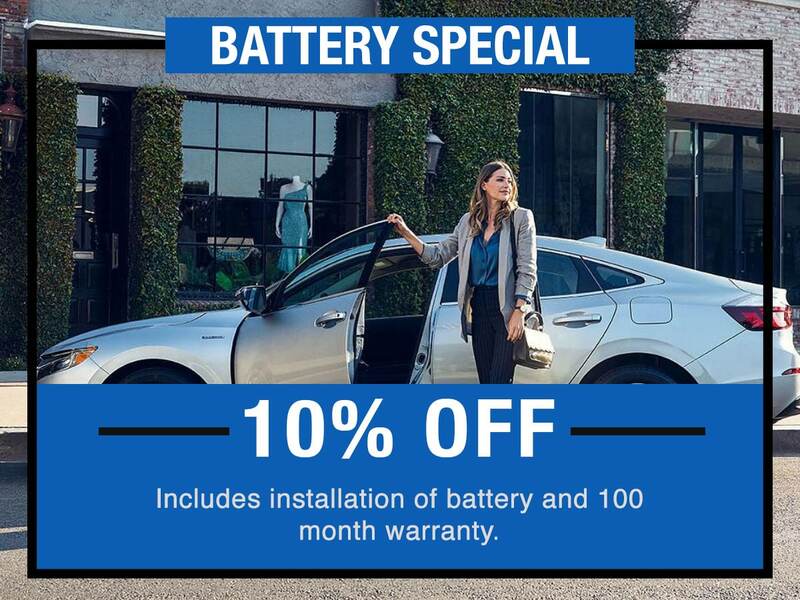 Includes installation of battery and 100 month warranty. Front or rear pads with rotor resurface. 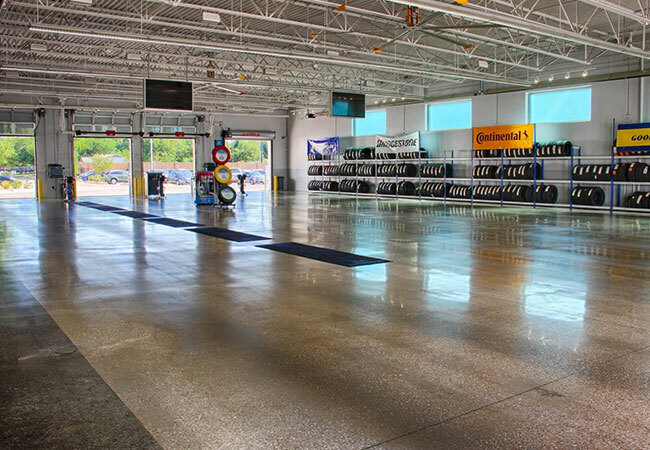 Also includes car wash, vacuum, multi-point inspection, and battery test. Sales tax extra. 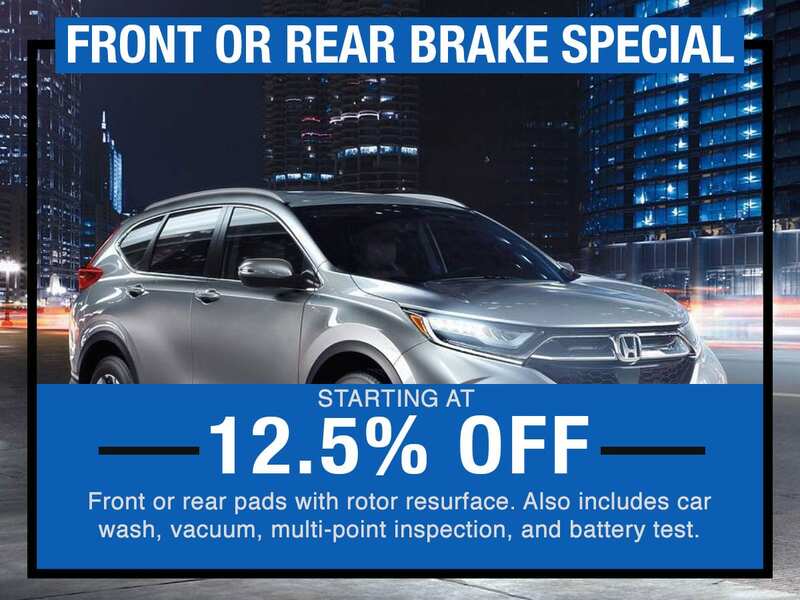 Valid on Honda vehicles only. Must present coupon when order is written. Cannot be combined with any other offers or previous purchase. Does not include tax + disposal fees. 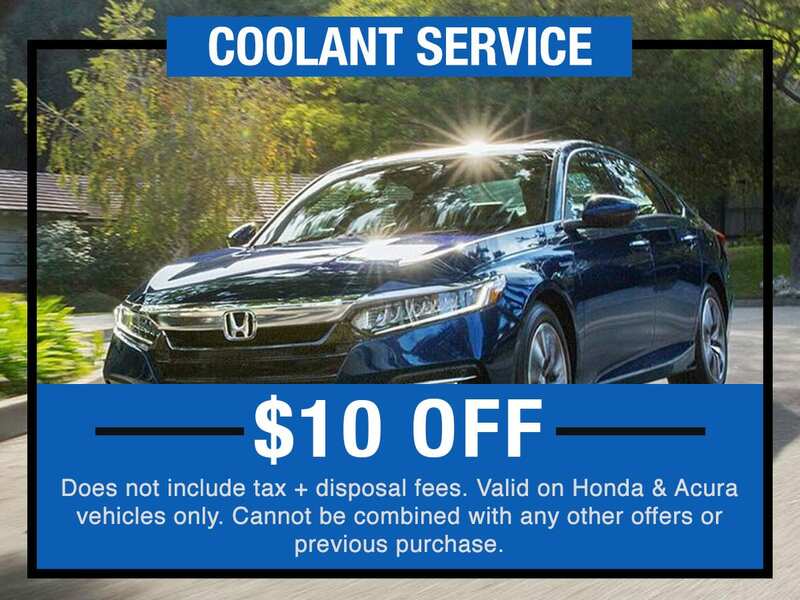 Valid on Honda & Acura vehicles only. Cannot be combined with any other offers or previous purchase. 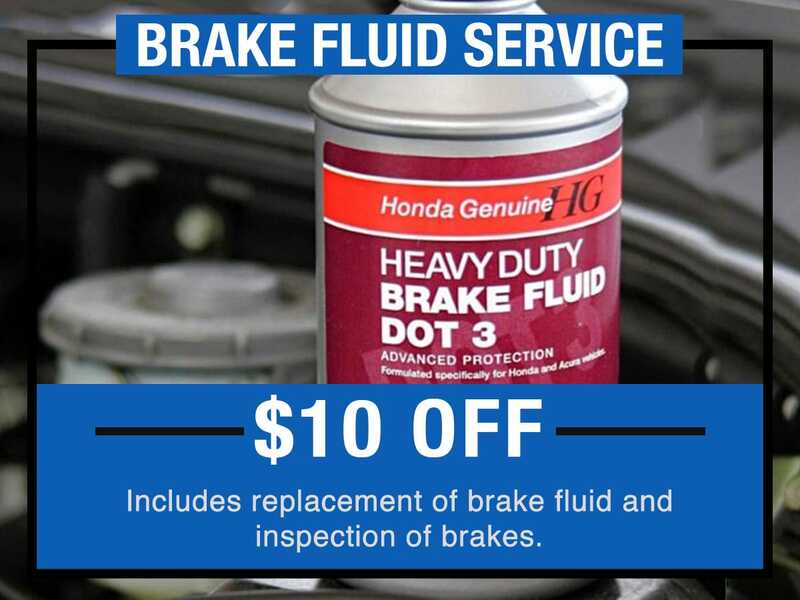 Includes replacement of brake fluid and inspection of brakes. 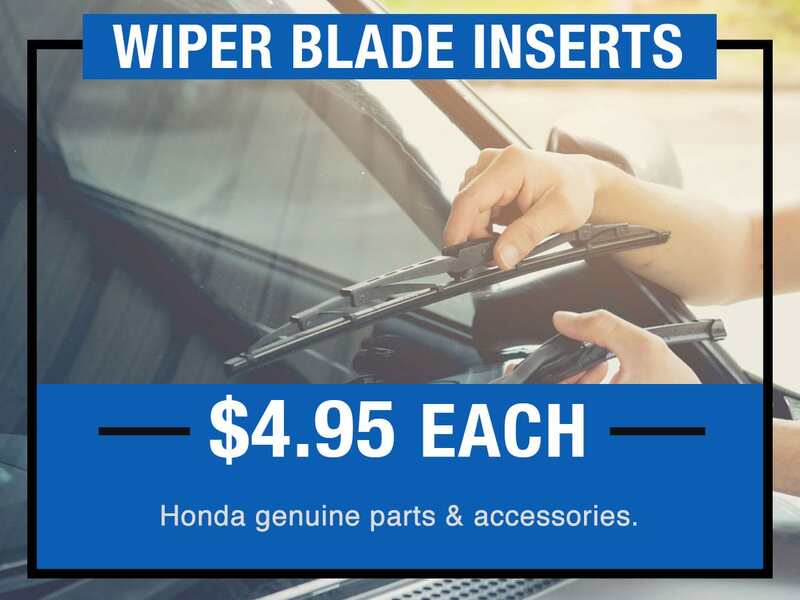 Honda genuine parts & accessories. 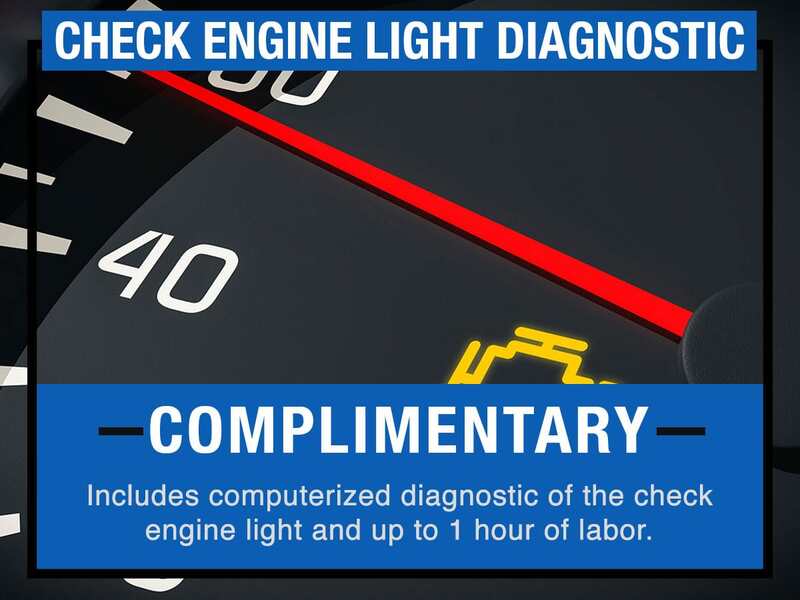 Includes computerized diagnostic of the check engine light and up to 1 hour of labor. 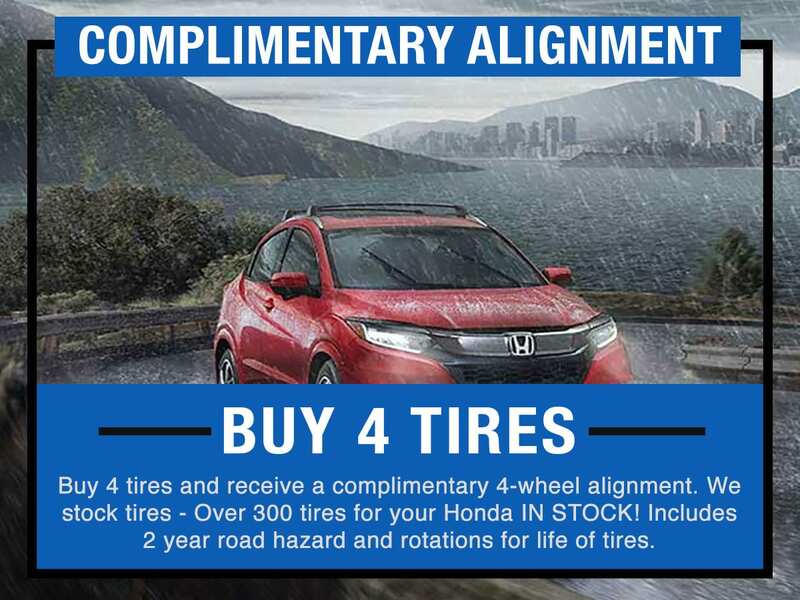 Buy 4 tires and receive a complimentary 4-wheel alignment. We stock tires - Over 300 tires for your Honda IN STOCK! 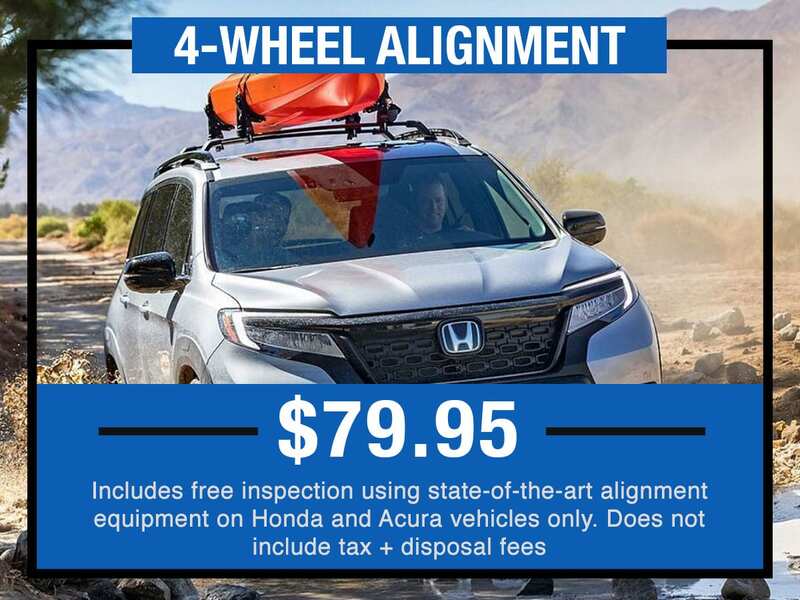 Includes 2 year road hazard and rotations for life of tires. Any A1, B1, A1-2 or B1-2 service. 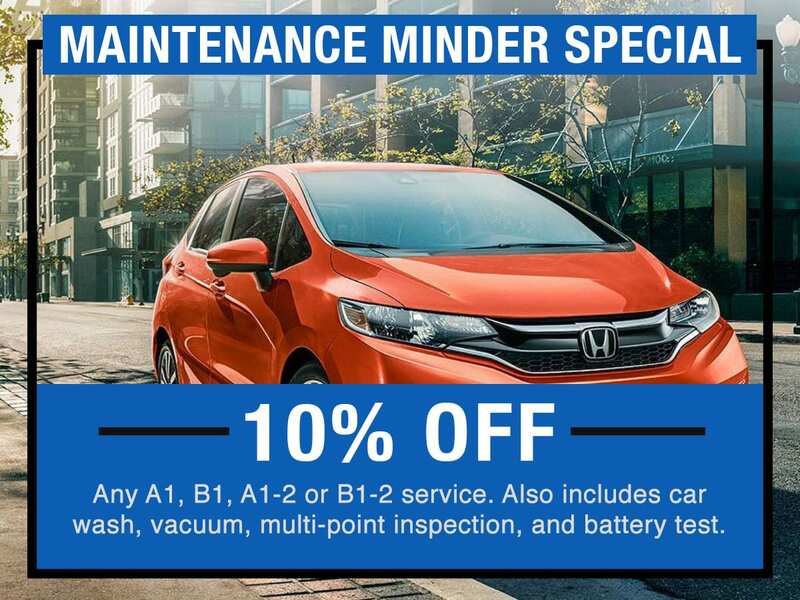 Also includes car wash, vacuum, multi-point inspection, and battery test. *Must present coupon when the order is written. Not valid with any other offer. 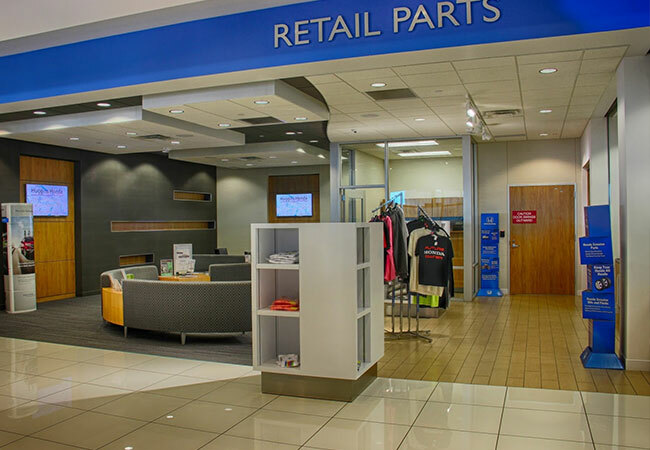 Some restrictions may apply see Service Advisor for details. Tax and shop supplies not included. Some Models may not apply. Promotion may end at anytime with our notice. 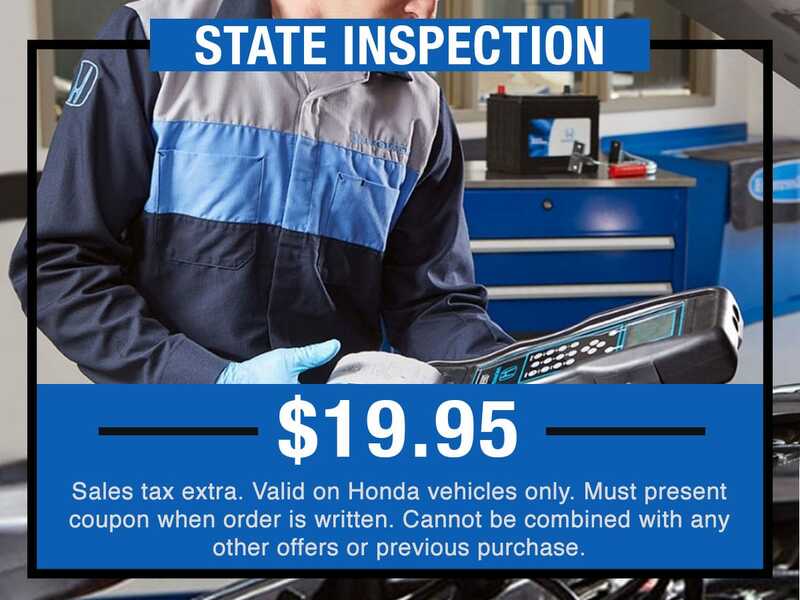 Does not include Tax and or Shop Supplies, see Service Advisors for details.